It’s almost time for one of the biggest holidays of the year. Baltimore County has put together a list of locations where you can legally watch fireworks this Fourth of July. 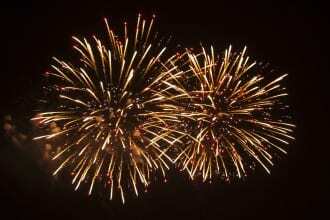 Public fireworks displays are a great way to enjoy the summer holiday season. The following is a list of dates and locations of fireworks displays that have been approved by the Baltimore County Fire Marshal’s Office. Additional displays will be added as the Fire Marshal issues permits. Check this page regularly for a display near you. The use of backyard fireworks is illegal; some ground-based and hand-held sparklers are legal in certain counties, including Baltimore County. Detailed information about the laws regulating fireworks is available online. The State Fire Marshal provides a list of approved fireworks displays throughout all of Maryland.